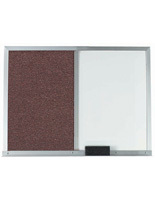 This Cork Board Is Both a Cork Board and Dry Erase Board Framed in Aluminum Metal with Tray! 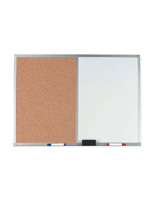 This Cork Board Is a Bulletin Board that Comes with Markers and an Eraser as Accessories! 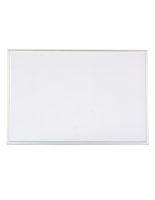 Buy This Product Today at CorkBoards2Go.com! 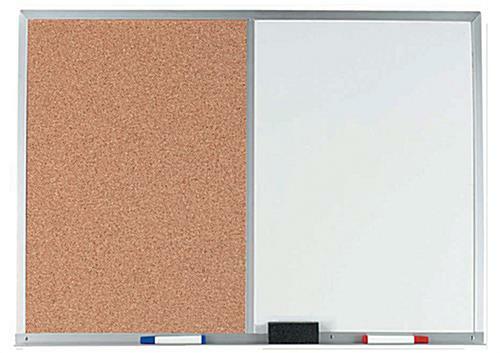 Cork board with marker board is 48" wide x 36" high with a satin anodized aluminum frame to match your decor (Markerboard: 24" x 36"; Cork board: 24" x 36") . 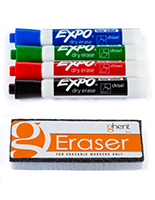 Your writing surface is a dry erase board and our company offers provided a set of numerous colored markers and an eraser engineered for this type of board. 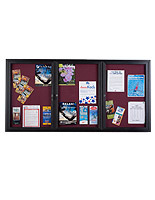 Includes storage tray to handily hold your markers and eraser. 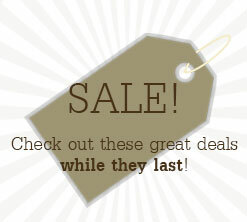 Hang on your wall with the provided mounting brackets and hardware. 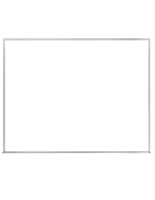 These have proven to be useful communications and teaching aids with our education and corporate clients. 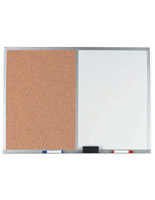 The combination of writing surface and cork board make a flexible and appealing unit.